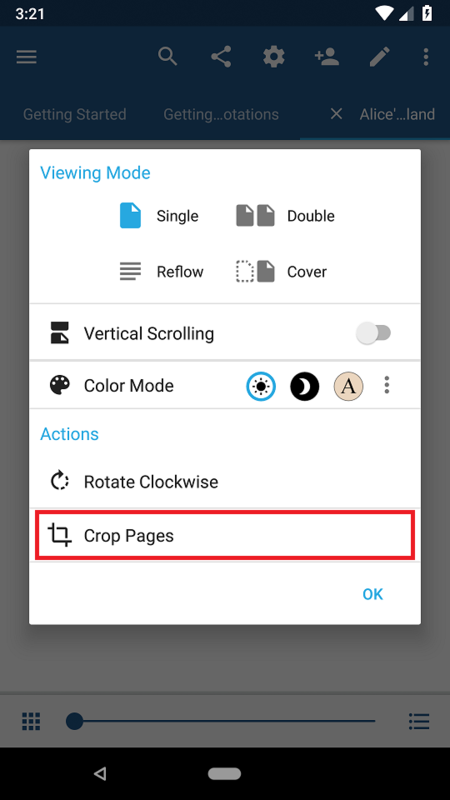 There are two ways to crop pages in Xodo: automatic cropping and manual cropping. These cropping options are meant to aid your reading experience, rather than provide document editing options. You can also reverse all cropping previously performed in Xodo. 1. Tap the View Mode icon. 3. Tap Automatically Crop Pages. 4. Xodo automatically detects and removes all margins from every page of the document. 3. Tap Manually Crop Pages. 4. 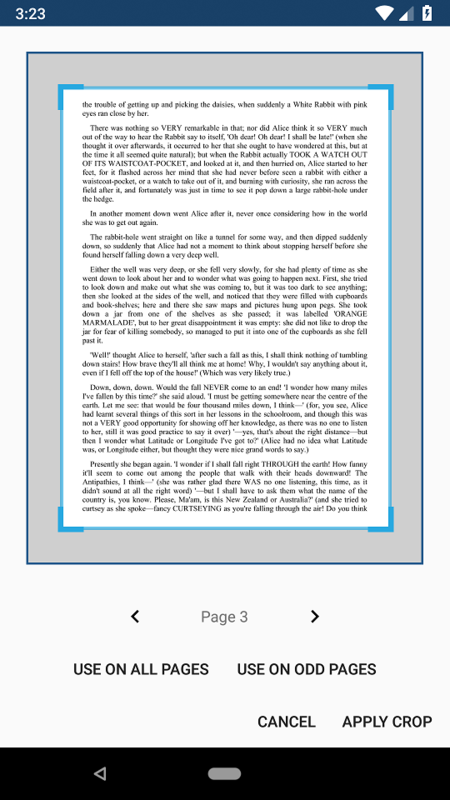 Manually crop each page according to your preferences by holding and dragging the corners of the light blue rectangle. 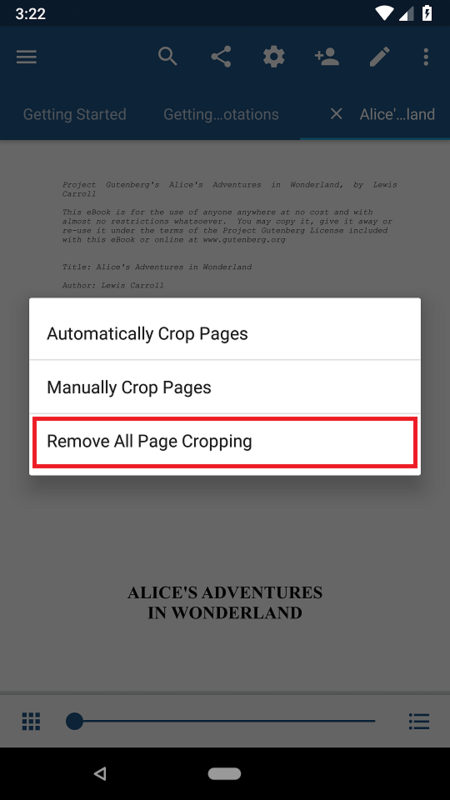 Once you've finished cropping one page, you can tap USE ON ALL PAGES to crop all other pages to the same margins. 5. Tap APPLY CROP to finish cropping the document. 3. Tap Remove All Page Cropping. 4. 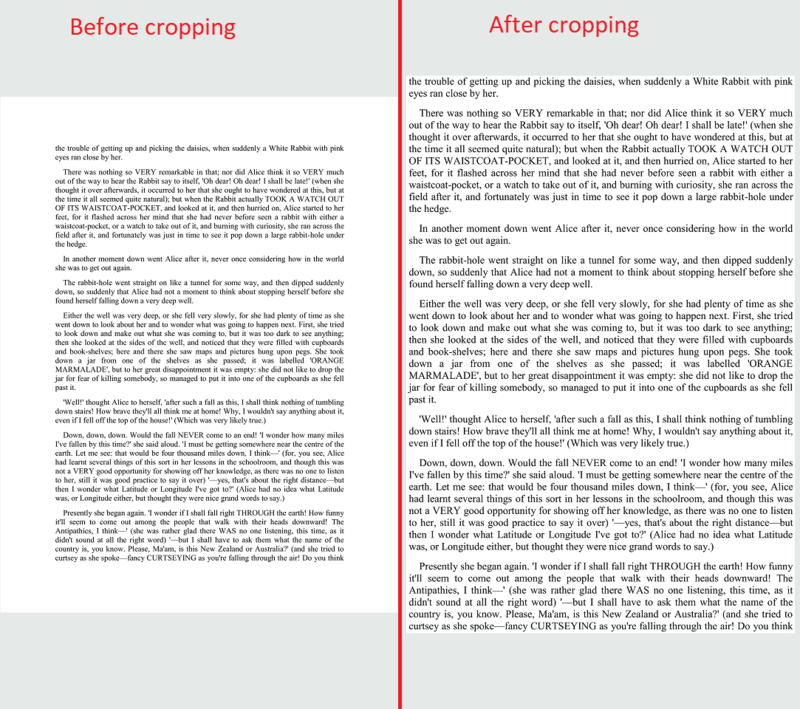 All cropping previously done in Xodo is undone, reverting the document to its original margins.